The London lounger is a sofa shaped beanbag designed for two! Expertly handmade for outstanding precision, this sofa lounge design includes a backrest for added comfort and support in addition to an extended seating area allowing you to stretch your legs out and relax. The London Lounger EPS bead filling move, mould and adapt to you and your resting position; they also make the sofa significantly lighter and more flexible and therefor easier to move than a regular double seated lounge chair. The London lounger also has an external slipcover which can be taken off and cleaned, making it a great alternative to standard sofas. 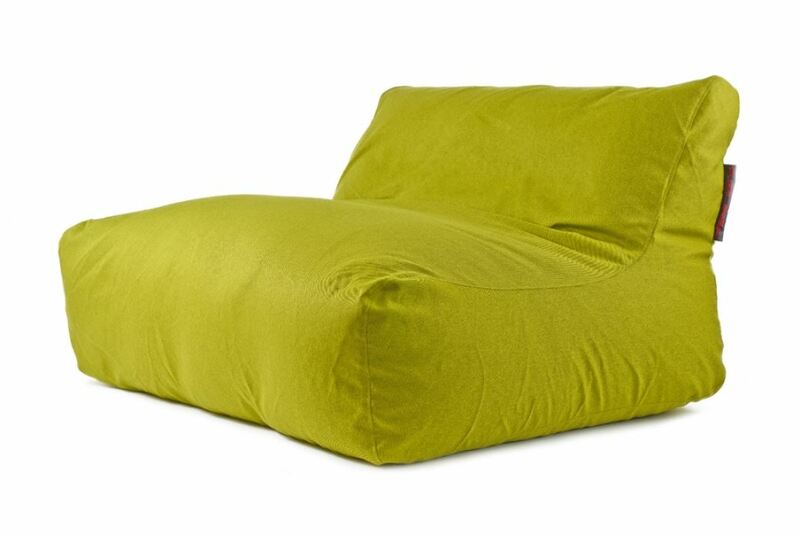 Available in Lime, Concrete, Pumpkin, Red, Silver or Turquoise, this sofa shaped beanbag works perfectly for both classical and modern interiors, perfect for the home and office. Nordic is an especially soft fabric for indoor use and very pleasant to touch. There is a wide variety of choice in Nordic pallet, so you can find both pastel and vivid colours. Combining these Scandinavian shades and fabric softness you can find the perfect solution for you home interior! Our fabric NORDIC has received a OEKO-TEX® 100 certificate. Nordic Fabric has a OEKO-TEX® 100 certificate that confirms that this furniture tapestry meets the international ecological standard OEKO-TEX®. This means that the Nordic material is high quality, fire resistant, reliable, completely safe to use, and contains no harmful substances and allergens, therefore it is particularly suitable for children. For further information on the Nordic fire-resistant material, please view the flammability certificate under the technical data tab. As standard we only list a select range of our Bean Bags on the website, but we can offer many more sizes, shapes, colours and materials on request (subject to MOQs and lead times). Please contact the sales team for more information and prices.